On Wednesday night I was invited by Cirque du Soleil along with my daughter, Lauren, to the preview/premiere night of Kooza, in San Diego at the Del Mar Fairgrounds. It was an unbelievable experience. It is a beautiful show and I can’t rave enough about how amazing Kooza was. It is difficult for me to put into words the experience of watching a Cirque du Soleil show. We were in awe from beggining to end. I must confess, I was a little worried about bringing my daughter to the show because she might be a little wiggly. It turns out I had nothing to fear. She sat through the entire show and she hardly made a sound. She absolutely loved the performance. KOOZA tells the story of The Innocent, a melancholy loner in search of his place in the world. KOOZA is a return to the origins of Cirque du Soleil: It combines two circus traditions – acrobatic performance and the art of clowning. The show highlights the physical demands of human performance in all its splendor. My daughter was completely taken in by the contortionists and I was completely fascinated by the aerialist and tightrope walkers. I have seen a couple of Cirque shows and the one thing that I love more than anything is the live music. The music in Kooza does not dissapoint! It is beautiful! If you have not seen a Cirque Du Soleil performance, this would be the perfect show to watch. It is a delight to watch and in an breathtaking setting. We had a great time and I know you will also. Kooza, is playing at the Del Mar Fairgrounds in San Diego through March 21st. To learn more about the show and to purchase tickets head here. Pretend City- Good To Go From Head to Toe and How you can get in for free! My family loves Pretend City. We have a membership and try to head there at least once a week. One of the things that I love about Pretend City is their focus on children and their Good To Good from Head to Toe Initiative. Good To Go From Head To Toe is an initiative designed to educate the community and parents about the importance of having children (birth through 5-years-old) receive regular developmental check-ups as part of their routine, well-child visits. As part of their Good To Go from Head to Toe Initiative, Pretend City holds monthly Way to Play days on the second Friday of each month to learn more about child growth and development while interacting with your child in a variety of fun activities. Each Way to Play day will highlight a particular developmental skill, like communication, and offer community specialists on-site for support. 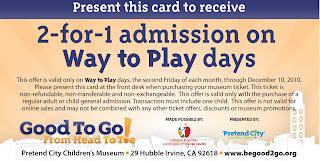 Way to Play day activities and special giveaways are included the the price of museum admission. If you print the coupon/flier below you will be able to do receive Two for one admission on Way to Play days. 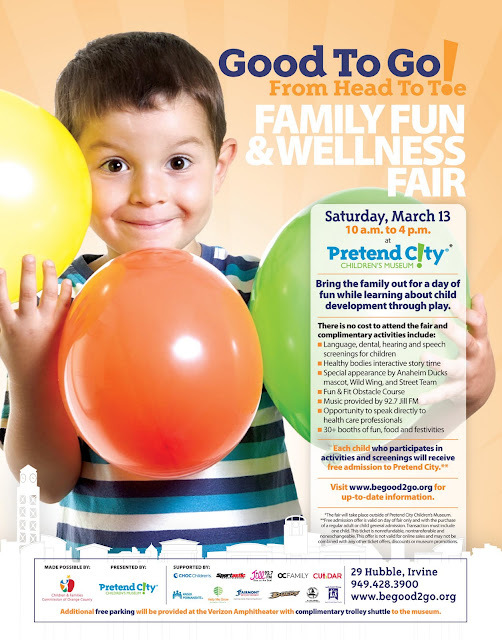 On March 13th Pretend City will be hosting a FREE Good To Go From Head to Toe Wellness Fair from 10 am to 4pm. You will learn all about your child’s development and there will be free language, health, dental, hearing and speech screenings for the kiddos. The best part is if your kiddos participate in the activities and screenings they will receive FREE admission to the museum that day. It’s a fantastic event and how can you beat Free? I hope you can all make it. 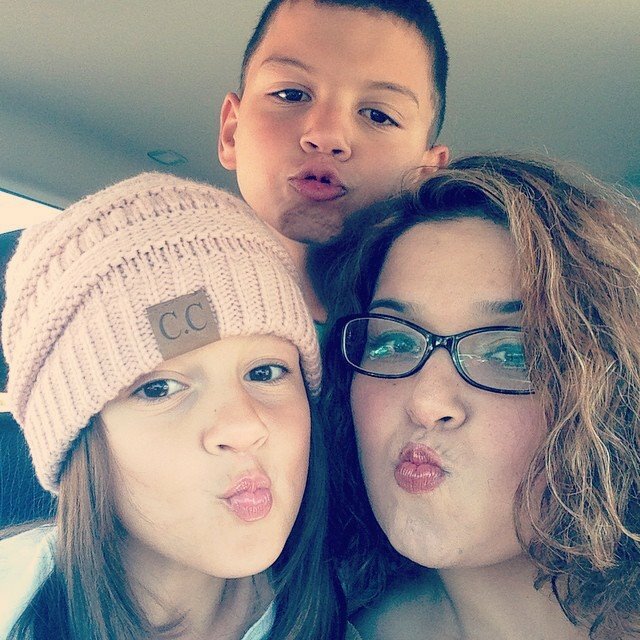 I plan on taking the kiddos over to the fair to participate in all of the activities. I hope to see you there! To learn more about the Good to Go From Head to Toe initiative head here and to learn more about Pretend City head here. This entry was posted in Free Admission, Good to Go from Head to toe, Pretend City, Pretend City Coupon, Way to Play days. 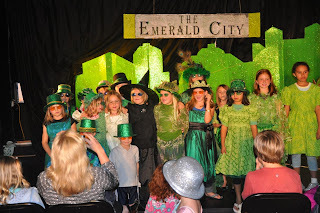 This birthday party roundup suggestion comes from our reader Tucker, who had an amazing birthday experience at Broadway Bound OC. This is what Tucker had to say. I would like to RAVE about Broadway Bound, OC. My daughter had her 9th birthday there about two weeks ago and it was a smashing success! She chose the theme Wicked. The organizing consisted of a couple of phone calls and then all we had to do was show up with food. They decorated the space, had a fantastic set on the stage, awesome costumes (for 17!) and two instructors to lead the crew. 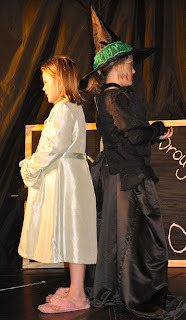 By the time parents came to pick up kids 2 ½ hours later they were blown away by a 2 song show. We had a mix of kids from different schools and both boys and girls. By the end everyone was participating and having a wonderful time. I know there are a number of other themes that Broadway Bound is set up to do for parties, their link should be able to provide more information. Parties are $350 for 18 people and it is 3 hours. Food is not included but they do everything else and set up for you to bring food in. To learn more about this unique and what looks to be an incredible birthday party experience head here. A big thanks to Tucker for sharing her experience. I can’t wait to share the many posts I have planned that have come from many readers like Tucker. If you would like to share your birthday party experience please email me at mom@daytrippingmom.com. This entry was posted in Birthday OC, Birthday Party Idea.